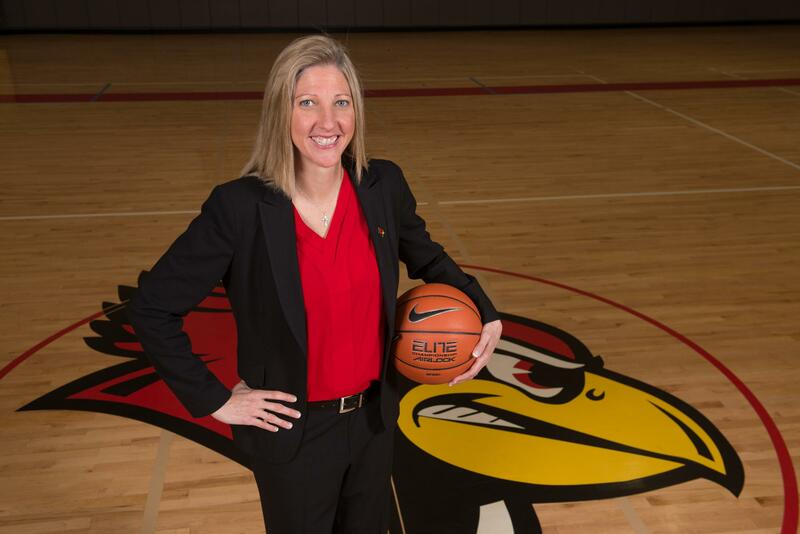 Illinois State University women's basketball coach Kristen Gillespie. "It's just a great job," said Gillespie. "When you look at women's basketball jobs in the state of Illinois, I think ISU is at an elite level." For a program that hasn't cracked double-digits in wins since finishing the 2013-14 season with 11 wins and 20 losses, elite isn't the word that immediately comes to mind. Gillespie's optimism comes from seasons prior, and what she said is both university and community support for women's basketball. "We have unbelievable support from (ISU) President (Larry) Dietz on down to the community," said Gillespie. "And I think that's what separates Illinois State from some of the other universities in Illinois. It's that unique community backing. People really have a vested interest in women's basketball." 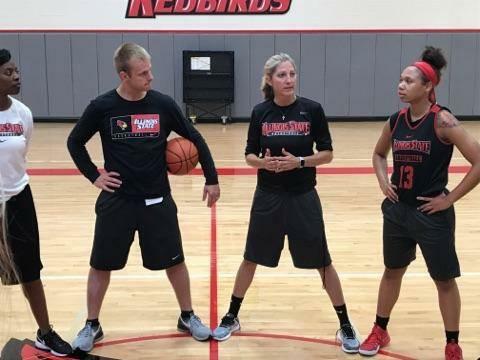 Coach Kristen Gillespie, second from right, at a recent practice. Frankly, turning the program around is going to require better players, maybe even a few that fall into an "elite" category. "I know the past couple years the product may not have been where it once was," conceded Gillespie. 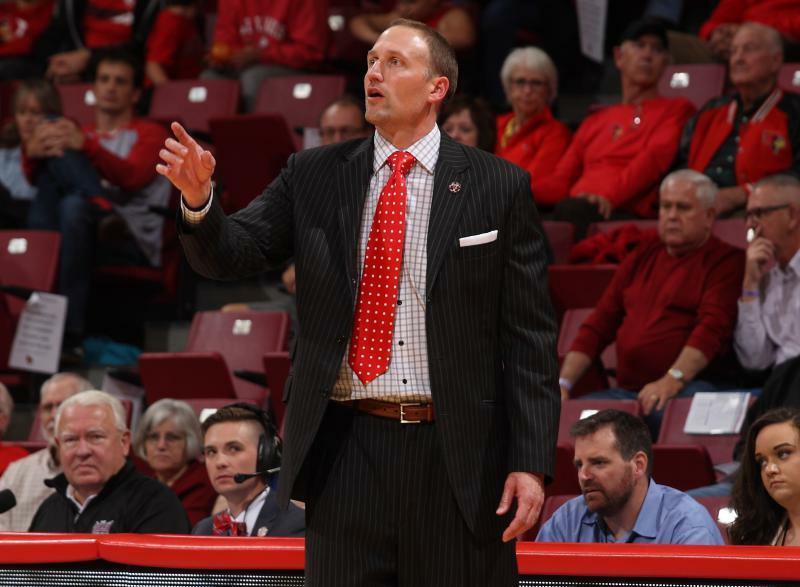 "But I think if you can put a better product on the floor, it creates a lot of excitement and a great atmosphere that will attract really good recruits." Overall win totals of 2, 8, and 8 in the three years since the Redbird women cracked the double-digit win column has tested the loyalty of fans who remember NCAA and NIT appearances during seven consecutive seasons of 20+ wins between the 2006-07 and 2012-13 seasons. It's also taken a toll on the attitude of the players themselves. It's a culture Gillespie has been working on since being hired. "Sometimes when a group hasn't had a lot of success, that becomes the standard. So we're trying to raise expectations just of work, work ethic, habits and what is being demanded. Whether it's from an academic or training standpoint we know if things are going to change, it's going to change with the group we have right now. Yes we're going to bring in recruits, but it has to change IMMEDIATELY with the young women that are on our team right now," said Gillespie. She said she has seen an evolution of the culture in four months, and gave credit to her assistant coaches. She said the enthusiasm and passion they bring to practice every day has made a difference with the players. "That becomes contagious," said Gillespie. "I've seen a shift in the overall attitude and effort level of the players, but it starts at the top on down. Every single day it our staffs responsibility to set that tone so they can follow our lead. 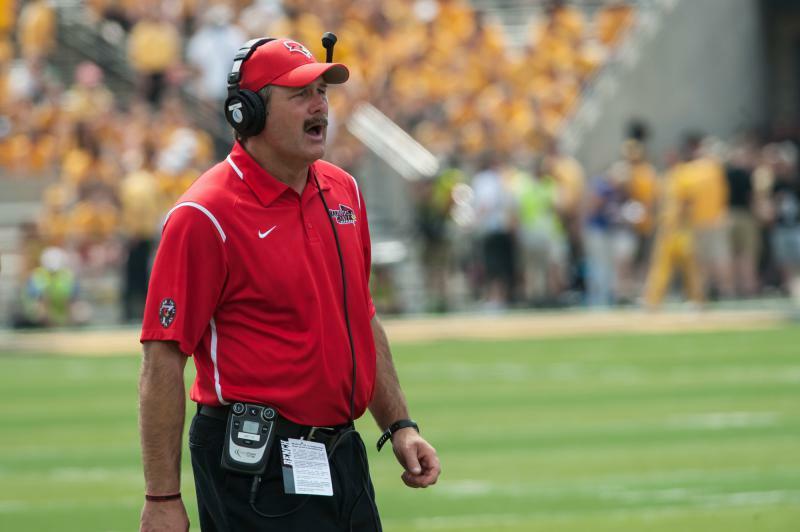 I know as a head coach I have seen a change in a lot of those behaviors." Gillespie is keenly aware ISU women's basketball is currently far from where it needs to be for continued success. But she said by the time the team plays its opener against Oakland on Nov. 11 in Rochester, Michigan, her new team will have taken bigger strides in changing expectations, and the overall culture of the program. An excerpt from GLT's interview with Kristen Gillespie. GLT's full interview with Kristen Gillespie. A mountain of research—including a stunning new study on the brains of deceased NFL players—is changing the way that the Illinois State football team is practicing this summer. 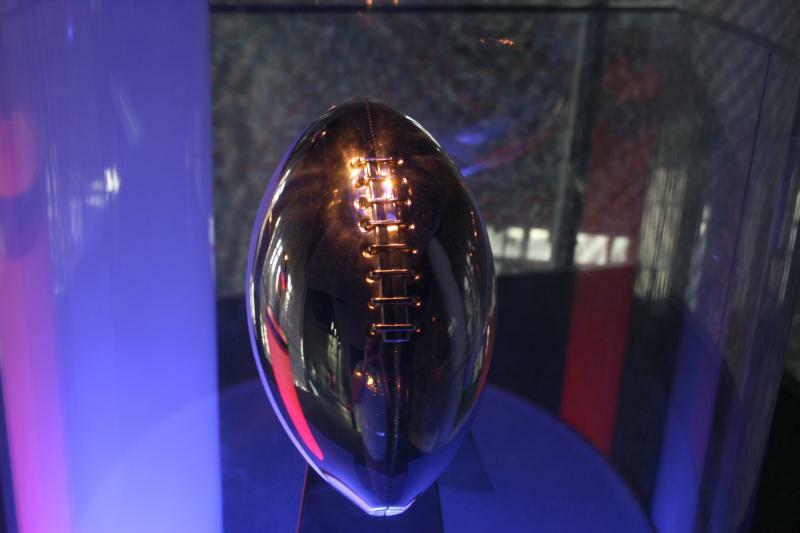 Bloomington Normal resident Doug Rosenbaum worked the Superbowl on Sunday. It is Rosenbaum's second stint as an NFL Referee of the biggest game of the year. He was part of the top ranked crew during the regular season, which earned the right to ref the big game.